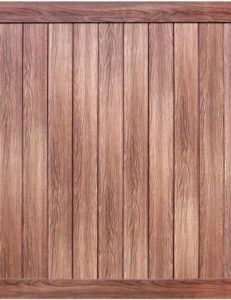 Illusions™ Walnut wood grain vinyl fence is available as a quick ship item in V300 six foot tall solid privacy panels (as seen below). Production time for Illusions™ wood grain vinyl fence styles or deck railing systems is approximately two weeks when ordering any other of the other beautiful Illusions™ styles. 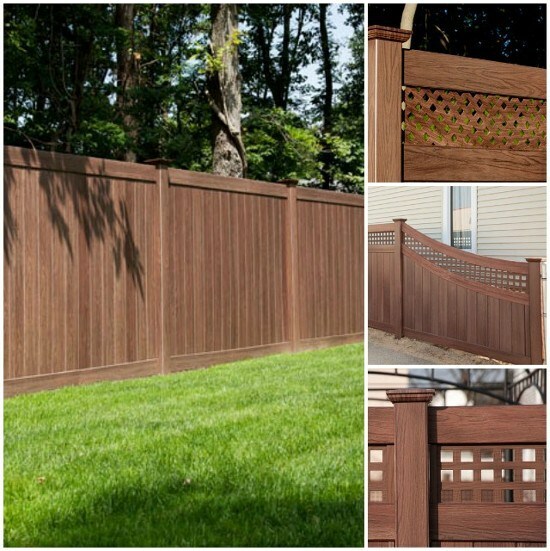 You can have all the charm and elegance of a wood fence without any of the maintenance issues. 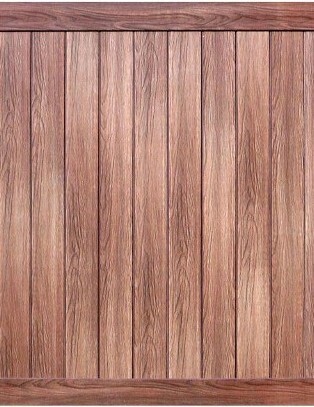 Illusions™ WoodBond™ wood grain vinyl fence can be combined with any of the Grand Illusions™ colors for a truly unique look. In the delivery area, stocked Illusions™ wood grain vinyl fence panels, posts, post caps and matching wood grain crown top walk gates can be delivered in 3 days or less!